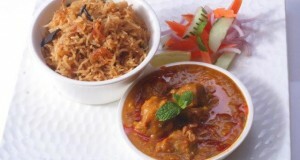 Chicken Manchurian is a very popular recipe. 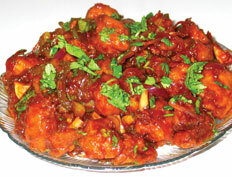 Learn how to make/prepare Manchurian Chicken by following this easy recipe. Smear salt and marinate chicken for an hour. Make a batter of all purpose flour and cornflour in a bowl. Soak the chicken pieces into it. Deep fry the chicken pieces and keep them aside. 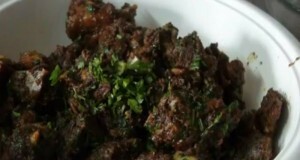 Heat oil in a pan and add garlic, onion and green chillies and fry till brown and crispy. 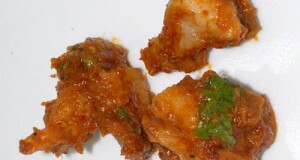 Now add chilli powder, salt to taste, deep-fried chicken pieces, tomato ketchup and Soya sauce. Cook at high flame (may be for 7-8 minutes) till the chicken turns soft and absorbs ketchup and Soya sauce. Add water while stirring, if necessary.